these seven things to insure a high quality installation with the best value. 1) Reputation - The East Texas area has its share of gutter companies that go out of business each year usually leaving behind many disgruntled customers, please be aware of this and be selective. We are East Texas’ oldest gutter company with over 10,000 satisfied customers. Over 80% of our new customers are referred to us from our satisfied customers. We lead the industry in technical installation practices and set the standard to another level of service. 2) Stability - Since 1965, The Gutter Guys has been committed to provide products and services that exceed expectations! 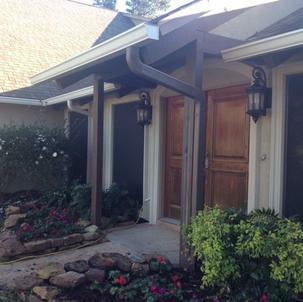 The Gutter Guys has been owned and professionally managed by the Grimmett family for over forty years. We have a full service office and warehouse that is always open to our customers. 3) Workmanship - Our proposal is intended to be as competitive as we can make it, but naturally it can never be as low as someone who does not have the normal costs of a legitimately conducted business. While price is important, the reliability and integrity of the contractor you choose are key factors that insure the value of your investment. When you choose The Gutter Guys you choose quality. 4) Reliability - We are fully insured with workers compensation insurance and general public liability for your protection. Some companies overlook the critical quality control checks that we focus on to guarantee your long-term satisfaction. We have a full-time office to assist you with all questions or concerns. Field supervisors inspect the work being done, solving problems and keeping you informed so that you can feel confident a quality job is being done on your home. 5) Professionalism - We are a long-standing member of the Better Business Bureau with an established record for excellent customer service. At The Gutter Guys, we stand behind our work and look forward to standing behind the job we will do for you. SEAMLESS ALUMINUM GUTTER: Our seamless gutters are custom made to fit your site using pre-finished material from our own warehouse. With a written 50 year material warranty not to blister, crack, peel, or structurally deteriorate we can guarantee our workmanship for a period of 1 year, 5 year, 10 year, or lifetime depending on the system you choose. SPECIALTY GUTTER: Our specialty gutter division fabricates steel, copper, and other materials into seamless or custom gutters to fit your specifications. 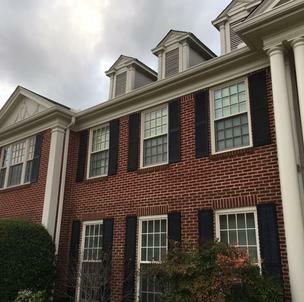 We can also shape color-matched covers for the fascia and soffit on the eaves of your property, providing a long lasting, low maintenance exterior. system on the market. Leaf Free has the best comprehensive lifetime material and performance warranty in the industry and is transferable if you ever elect to sell your property. 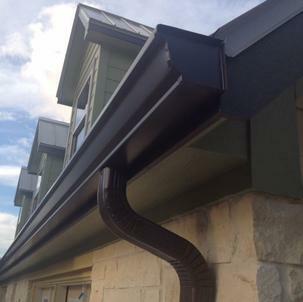 The heavy-duty design even strengthens your existing gutter system assuring that you “Never Clean Your Gutters Again”. 7) Financing Options - The Gutter Guys provides several payment options for our consumers. We can finance work with No Payments, No Interest for One Year, or 90 Days Same as Cash. We also accept MasterCard, VISA & Discover. We look forward to working with you now and in years to come.